UNIQLO Novak Djokovic 2015 French Open Model is now online sale. 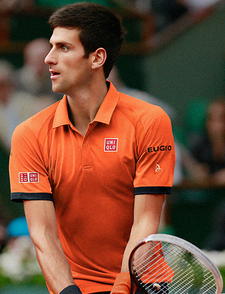 Novak Djokovic competes in 2015 French Open, Roland Garros. UNIQLO Novak Djokovic 2015 French Open model, polol, short pants, track jacket, track pants, cap, and wrist band are now available. Please click a below link to view the model of UNIQLO Novak Djokovic 2015 French Open, which is also the model that he wore at Monte Carlo and Rome Open.